The first impression comes after the first greeting. Your customers like to be liked and to feel they are important. The first greeting may become a decisive factor for your website visitors to stay and continue purchasing or to leave. It tells customers who you are and how you feel and what kind of service to expect from you. Sometimes it takes time to type a greeting. In this case the best solution would be using a typing indicator to show your visitor that you are typing a response in chat. Otherwise your visitor may be disappointed by your delay and the first impression will be spoiled. Creating a friendly atmosphere is very important from the very first minutes of the conversation. For your live chat you can upload smiling pictures of your live chat representatives and add greeting messages next to their pictures. It stands to reason that your team’s mission should be to make sure that your customers feel good and are happy with their purchases. Imagine that your home page is a lobby of a hotel. How should it look? Upload a simple and clear header image which tells your visitors where they have arrived and what you expect them to do next. Add some human touch by writing a friendly greeting. Make your home page simple with little text and nicely designed images telling your business story. Tell people that you can be trusted by displaying your customers’ logos and a couple of their testimonials. There is normally a receptionist in a hotel lobby. What will play this role on your website? This can be a live chat button telling your customers that you are here online and ready to assist. Ensure your chat and phone lines are available and your visitors will not run into an answering machine while trying to get in touch. Just serve your customers like in a 5-star hotel. A recent Software Advice report revealed that 56% of respondents have used live chat at least once in order to receive an answer from a company. 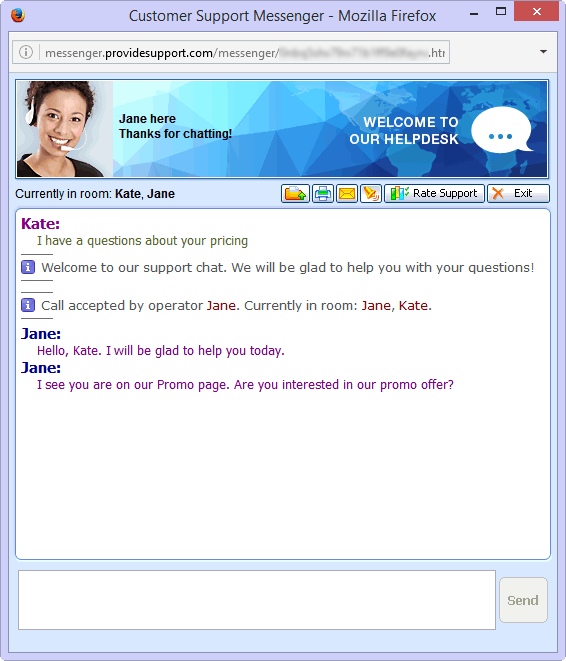 This means live chat has become one of the leading tools for customer support. The problem with an automatic, out-of-the-blue chat invite isn’t just that randomly appearing pop-ups are annoying, but are also more likely to be ignored. People are fed up with pop-up ads on websites and thus they will definitely close the chat invitation which looks like an add and interrupts their website journey. When you use chat invitations you need to ensure that the invitation design clearly communicates that this is a chat invite and not a pop-up ad. Also it should be easy to decline. The layout and design should make declining just as easy as accepting. The greeting text on the invitation should be unobtrusive and indicate your intention to assist and not to advertise or sell something. On some websites whenever you load the page a chat invitation appears. For the first page it looks normal, but when you continue browsing and such pop up window appears on all pages, this looks ridiculous and finally you just want to run away from that website. The best way to send a chat invitation is to send it manually to a specific visitor with individual greeting which includes the name of your customer and suggestion to assist with specific item a person is looking at. You can get all this information from the monitoring results provided by the live chat software. 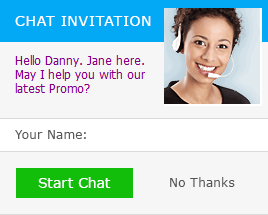 A picture of a smiling live chat agent will be a great addition to the invitation form. Your live chat button also makes the first impression. It should be placed to a visible location and match your website design. When accepting a chat from your customer, avoid using templates and robotic responses. Try to make your chat session friendly from the very first seconds. Today email is an integral part of any customer service workflow and keeping email support on a high level is vital for businesses. Skipping the greeting will do harm rather than save time. The first step to make your email message personal is to open it with a hearty hello. Address your customers by name. Add some personal touch to your greeting. It would be a good thing to introduce yourself or wish a happy holiday. Thank your customer for contacting you. Each email is an opportunity to win a new customer or conduct a sale, be grateful for this chance to a person who contacted you. Just keep in mind that you will never get a second chance to make a first impression on your customers. You are welcome to share more useful customer service tips in the comments to this blog post. This entry was posted in Articles, Instructions and tagged customer service tips. Bookmark the permalink. I think we have one in every one hundred chat invites accepted – people really don’t seem to like the intrusive nature, or maybe they do just feel that it is an automated pop up rather than a real person at the other end. We shall try your advise of making them look less like pop ups and more “valuable” to click. Thanks! Thank you for reading my blog post, Andrew and I am glad you found it useful. Adding some personal touch to the chat invitation greeting will help to increase the acceptance rate and your website visitors will not think that it is a pop up ad. Thanks for sharing tips regarding “How to greet customers in email” Surely, we will practice and take note these five items.